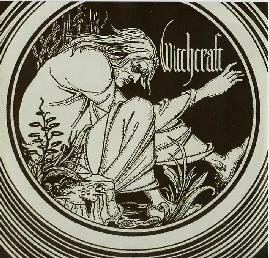 Witchcraft is a new Swedish band from Örebro and has released one 7” record previous to this effort. Several of the members have backgrounds coming from the Doom scene and certainly from the name of the band you could imagine that type of music. This CD is pretty damn fantastic and really grows on you. It is nothing like anything ever released on Rise Above Records, home of sHEAVY, Orange Goblin, Cathedral and many others. Anyway, this CD has very raw production reminding me of the first Pentagram or Black Sabbath record. The songs and grooves are simple and wide open. This is very much a retro affair, with similarities to Leafhound, Bang, Pentagram, Black Sabbath and other classic early 70’s dark rock records. Highly recommended!!!!!!!!!!! !